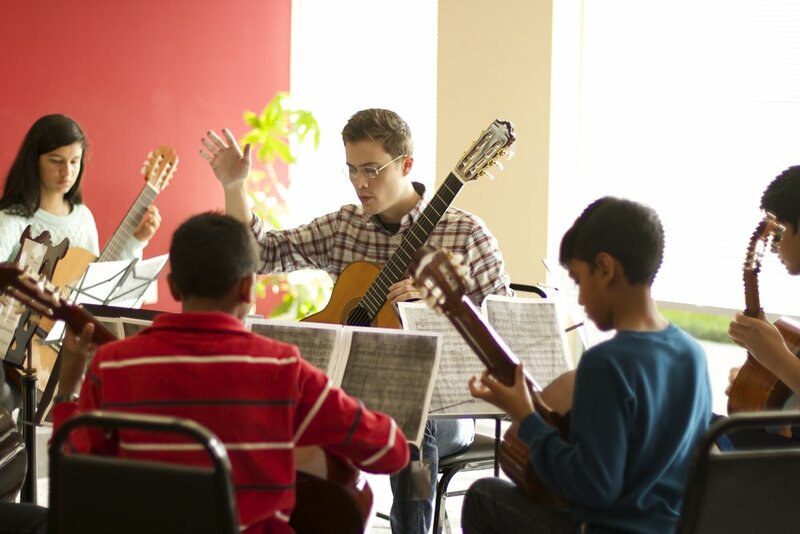 One of our goals at The California Conservatory is to add a social dynamic to our students’ music lesson education. 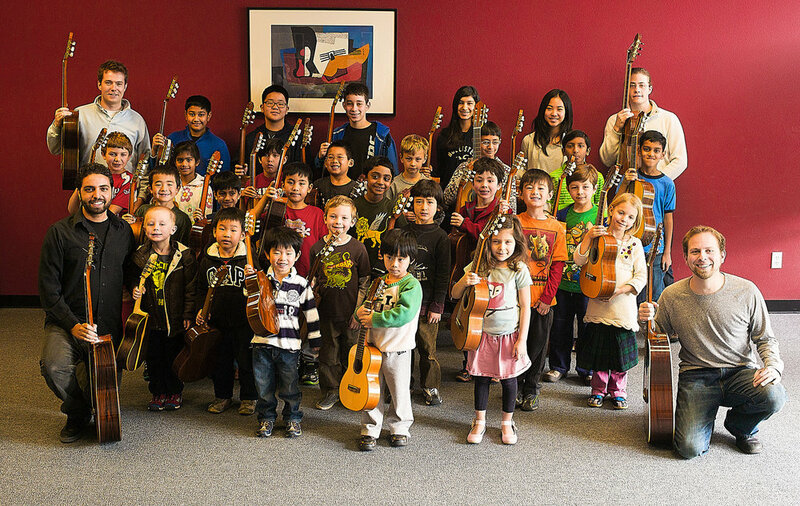 Students currently enrolled in private music lessons at CCM are able to register for group classes at the Santa Clara or Redwood City music school. We group students according to age, level, and instrument. Building confidence by performing for peers. Being inspired and motivated by other students' musical growth and excellence. Developing rhythmic acuity and a keen ear by playing with others. Students in beginning group classes play simple pieces with their peers, play some fun musically-focused games, and develop rudimentary music theory skills. 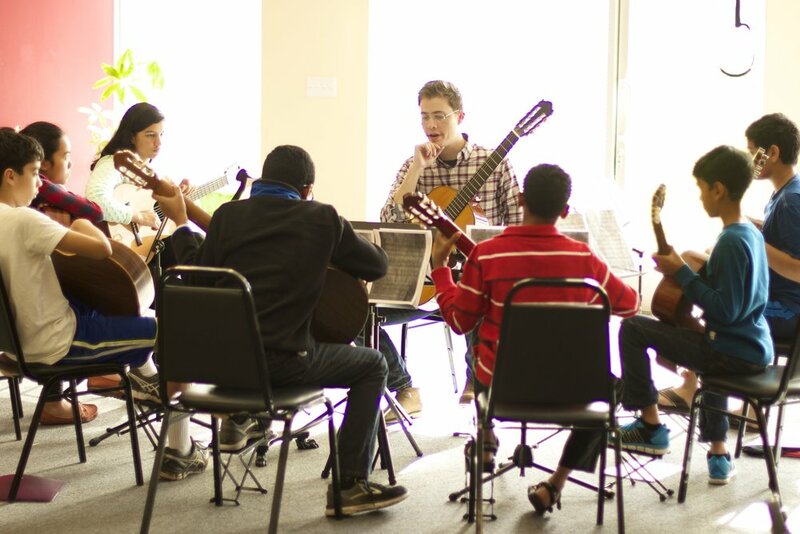 As students advance, they transition into classes that focus on technique workshops, music performance, and ensemble music. 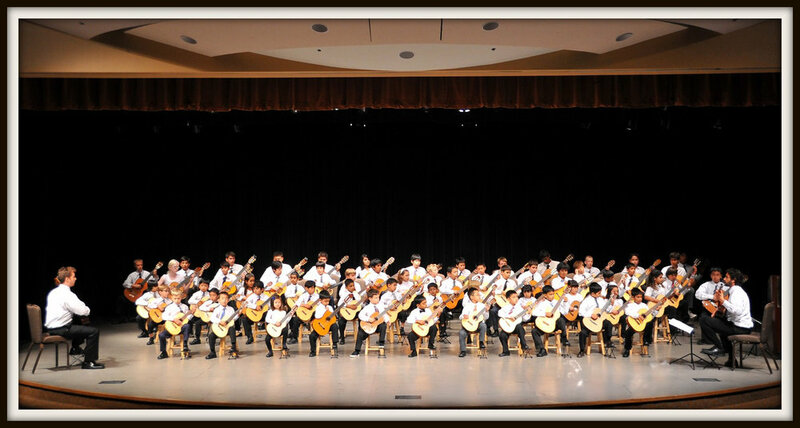 Ensembles from our Bay Area music school have gained recognition from the Guitar Foundation of America earning top prizes at their annual competition, and in 2014, were selected from a national pool of guitar ensembles to perform in Los Angeles. Berkeley’s Junior Bach Festival has invited our ensembles to perform on multiple occasions as has the Omni Foundation for the Performing Arts in San Francisco. Contact us today to set up group music lessons for your music student!